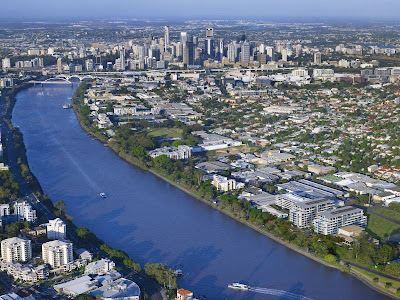 Brisbane Apartment: Will Flow be Impacted by Waters Edge? Flow, at West End, was developed by Pradella. Next door, Pradella is developing Waters Edge. It looks from this photo that Waters Edge will crowd out Flow and impact its views.